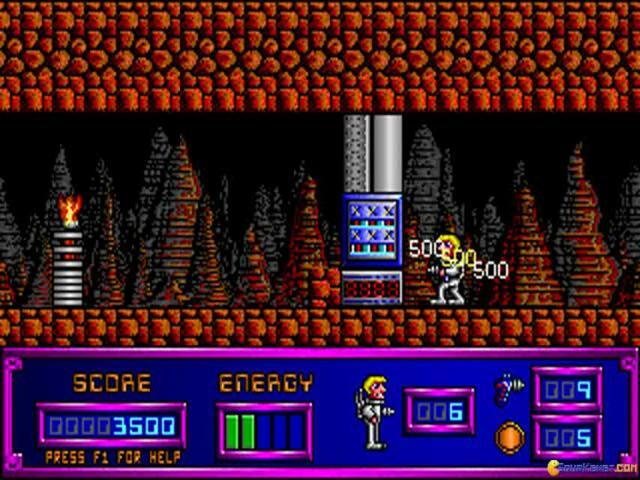 Into the depths of the Asteroid! 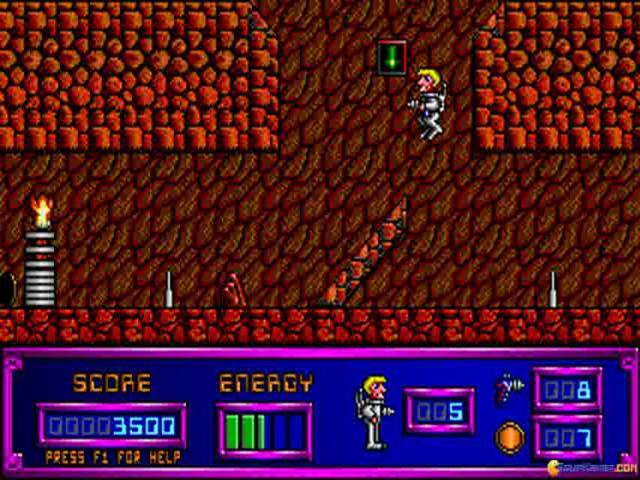 Gateworld is a 1993 platformer game. 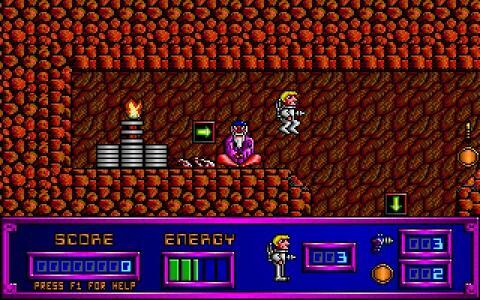 You play as Buzz Klondike, a space pilot and salvager. 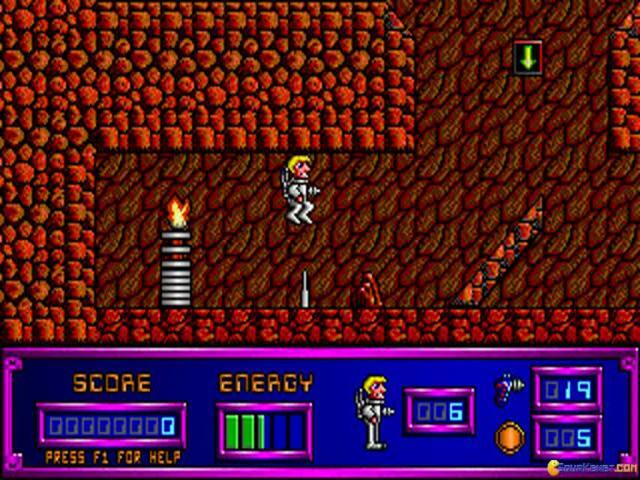 Buzz happens upon an asteroid with a city contained within, full of rare and valuable gems and gold. 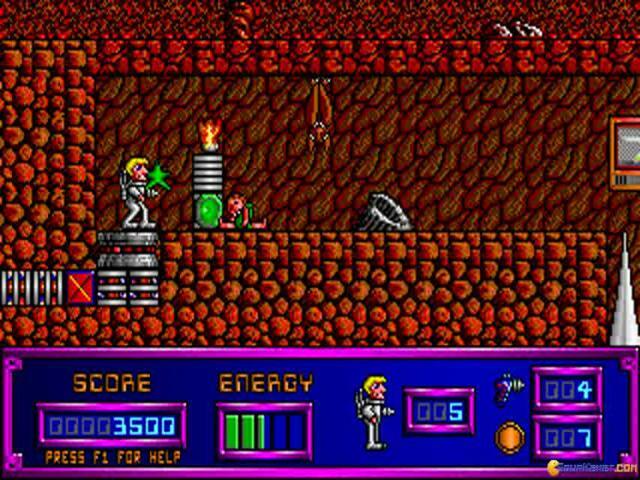 Your task is to make it to the center of the asteroid, collecting points, solving puzzles and killing enemies along the way.As a platformer game, Gateworld shares elements with the other games in its genre. 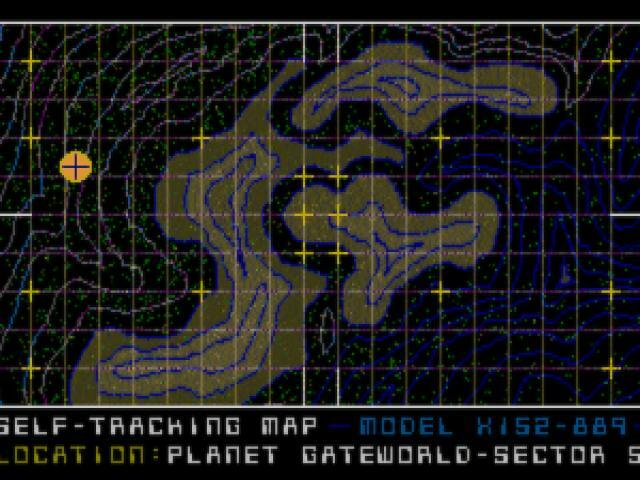 It features a non-linear map style, unlike the famous Mega man X of the same year, whos maps are linear. 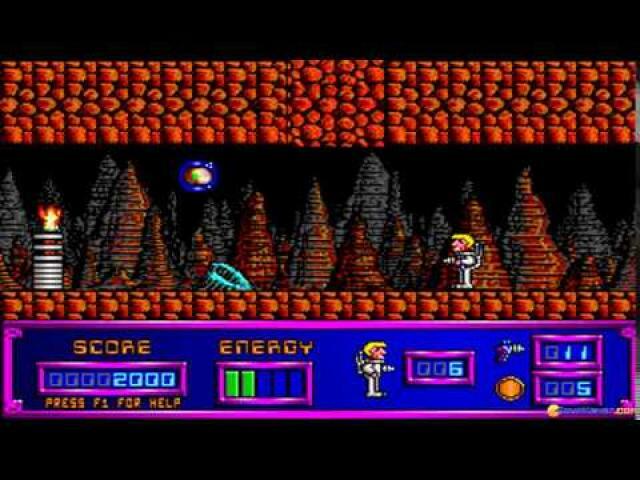 The graphics, sound and music for the time are average, however the game would crash on both DosBox and a real machine upon the players death if music was enabled in the game settings.To complete a level, you must find a key and use it to unlock a door. 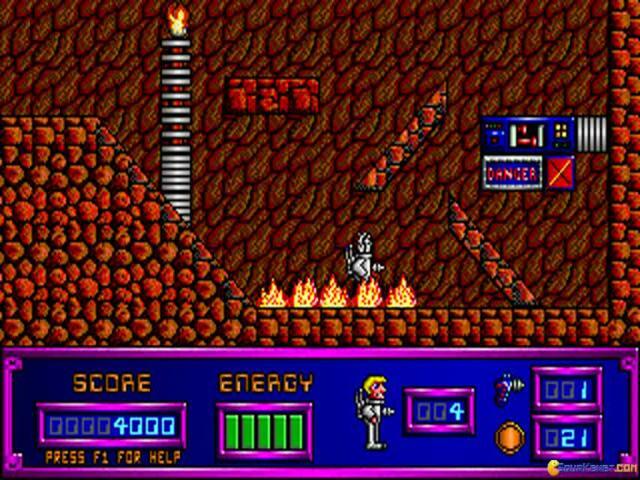 Gateworld's level design contains a number of hazards, including some enemies that will drain Buzz's suit energy, and others that will instantly deplete it, killing him. 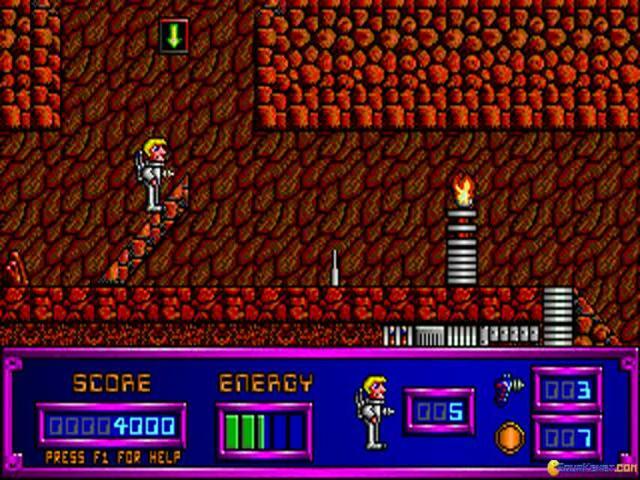 Various intra-level teleporters and seesaw-like platforms that look identical but perform different functions comprise a large part of the puzzle element. 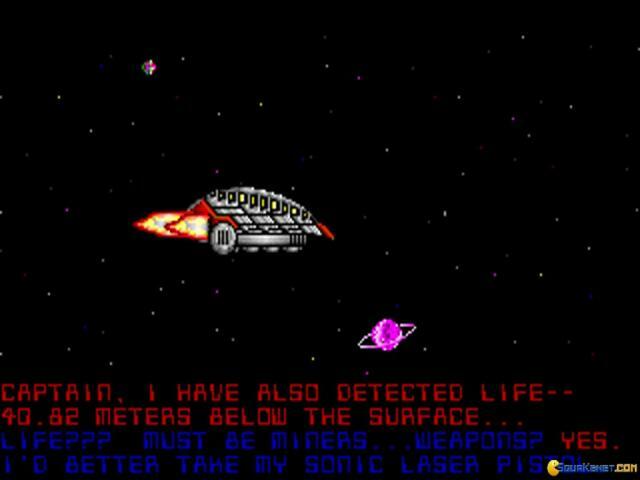 The levels are littered with gems, gold coins and other various point-granting objects. 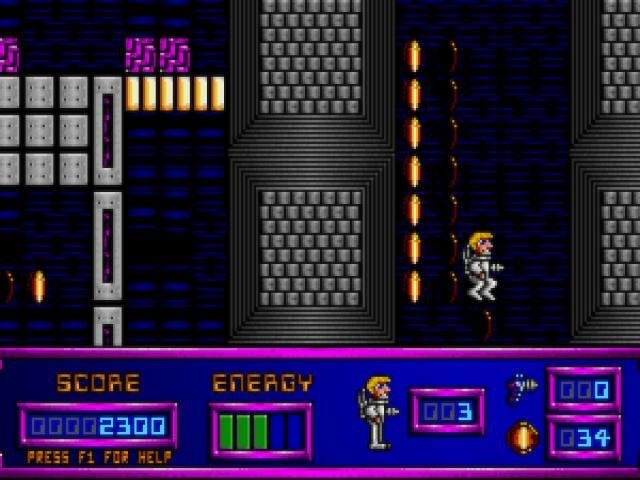 However beware, the level's layout will sometimes severely punish greed. A great feature of this game is the ability to look up and down and scroll the view a little so that you can see what you are jumping into or landing on. 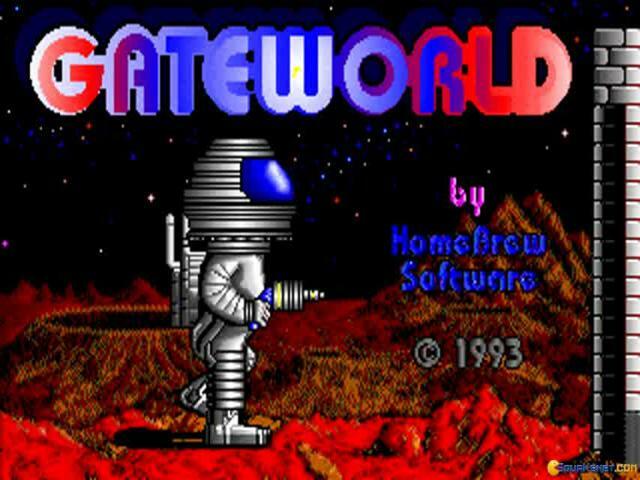 Overall Gateworld was a pretty fun game to play. 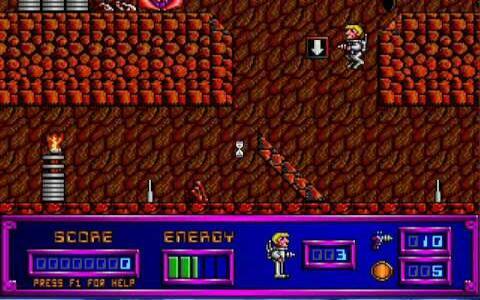 One could spend hours attempting to gather all the points and make it to the top of the high score table. 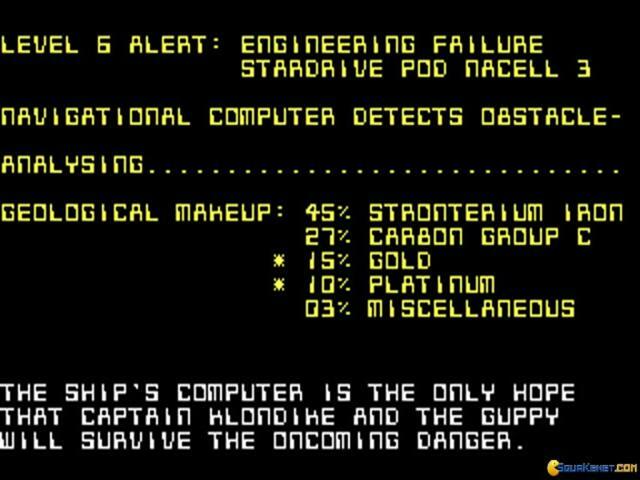 While difficult, this does seem possible. 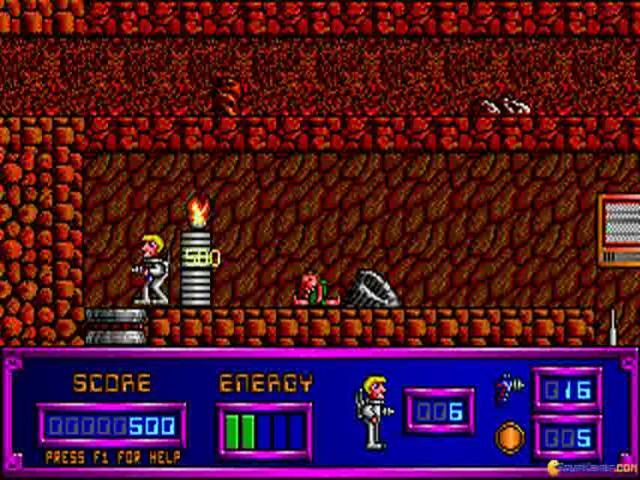 The game could do with more enemies and puzzle elements, however only the first shareware episode was reviewed. 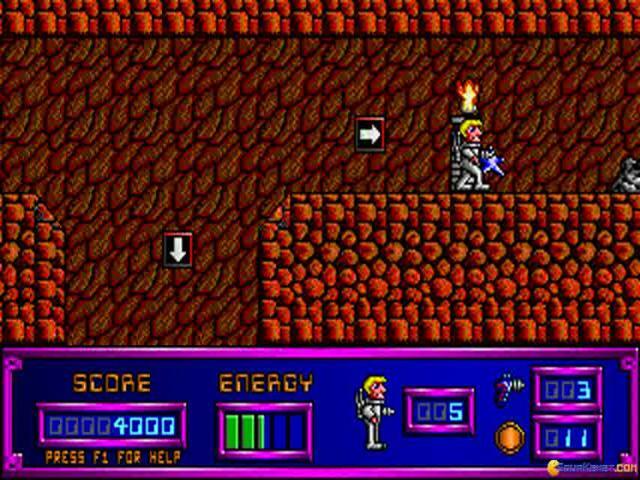 The second and third games were advertised to include both of these.